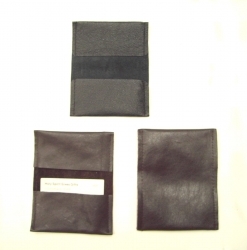 Quality made, long lasting leather verse pack to hold your Topical Memory sized cards. Two inner pockets. Stock colours may vary depending on leather availability Currently in BLACK.